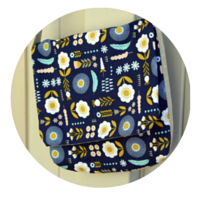 I figured I'd let whoever wins this give away pick between an Aspen Frost Charm Pack and the fabric to make your own Vintage Market mini quilt top (instructions here). Congrats to Debbie - who chose the Aspen Frost fabric. Enjoy! Such cool breezes blew through today reminding us that winter is not far away. Knowing that, it makes me think of the snow that is inevitable and the wonky snowmen that will spend time in the neighborhood. I would choose the Aspen Frost Charm Pack to make my mini table topper! It would adorn my hutch top. I know winter is close. I would choose the Aspen Frost Charm Pack, so sweet and would make a wonderful runner. I follow on bloglovn! thank you! I would choose The Vintage Market - It is Autumn and this would be so perfect! thank you! I follow you on Bloglovin and I'd love the Aspen frost charm pack. It would make a great little Christmas quilt for my little grandson. I follow you on Bloglovin and I'd love the Vintage Market fabric. Thanks! I would love the charm pack. Thanks. I would choose the Vintage Market. I love everything Riley Blake and have admired this line ever since it came out. Hi I would love the Vintage Modern ! This is a very hard choice - I love the Vintage Market fabric and do the have any of it and have never made a pillow! 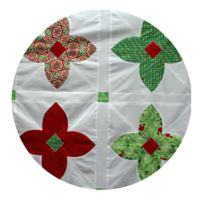 But, I would really like to make a Christmas quilt this year.....so as you can tell I have a problem! If I win, I will play rock paper scissors! I just started following you on Bloglovin. I would choose the Aspen Frost pack. 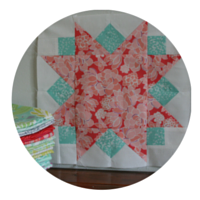 Your vintage market quilt top is adorable! I would definitely pick that option...and I'm now following you on bloglovin'. I clicked to follow you on Bloglovin. 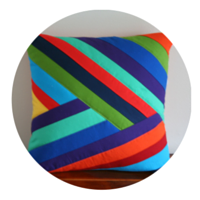 I would pick the fabric so I could make my own Vintage Market mini quilt pillow! Thanks for the chance! I would pick the red collection just because red is my favorite color but the green is nice too! I just found out about you so I'm excited to check out all your posts and patterns! Thanks for the give away!! Hi Debbie - your number was randomly selected to win the giveaway! Email me at laureneterry@gmail.com with your address so I can get this Christmas fabric off to you soon! Thanks. This is my first time to win a giveaway - I can't believe it. The fabric is just so darn cute and I can't wait to see it in person. Thank you Lauren! I follow you on Bloglovin and I'd love the Aspen frost charm pack. It would make great holiday pillows. I can't decide. They are both beautiful and offer many possibilities. Choose for me! Your blog is great! I would go with vintage market. Thanks! I pick the Aspen Frost charm pack. Would love the Charm pack!! 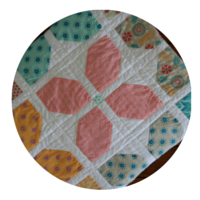 Your Vintage Market mini quilt is delightful! I'd choose the fabric for that. 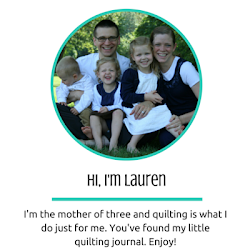 Thanks for the sharing your fabric and thanks for your inspiring blog! 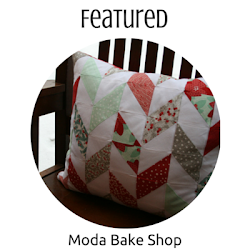 I love the vintage Market quilt! Following. I think I'd like the Aspen Frost charm pack. Following! Would be happy with either, but think I could put that holiday charm pack to good use with Christmas coming. Thanks for the chance! Following on Bloglovin. Tough pick between the Aspen Frost and Vintage Market fabrics-both are lovely. But if I had to pick, I'd o with the Aspen Frost since I am starting my holiday projects and those darling prints would be perfect. 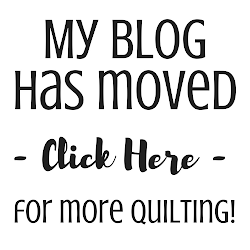 New bloglovin' follower, I already have the Vintage Market fabric, and have also been hesitant to cut into it, love it, so I would like to play with some Aspen frost, if I am the winner. Bloglovin follower! I would love the charm pack - always enjoy charm packs! My first choice is the charm pack, but I'd also love to recreate your project. I'm a new bloglovin follower. I am a new follower!! I would choose the aspen frost charm pack! I think :) the charm pack. Thanks for the chance to win! I would love the charm pack! THe Aspen Frost Charm pack....so in love w/Snow anything! It's wonderful to meet you via Blog...thank you for sharing. The Aspen Frost fabric - those snowmen are so cute! I would love the Vintage Market! I have loved the fabric since it first came out, but I haven't actually bought any yet. I really love the look to the fabric. I think your mini is just super cute! Oh, and I was already following you on Blogloving!